There is no denying that film promotions have become as significant as the release of the film itself, maybe more. And, Bollywood has never shied away from trying new things especially when it comes to marketing movies. This is because the right amount of buzz around a film translates into a wider reach of the movie which results in better box office collections. And when it is an Aamir Khan film, it is not surprising to witness quirky and unique marketing strategies. This Diwali on November 8, Amir Khan’s Thugs of Hindostan is all set to entertain audiences, but before that, there are other ways by which the film is reaching out to people. 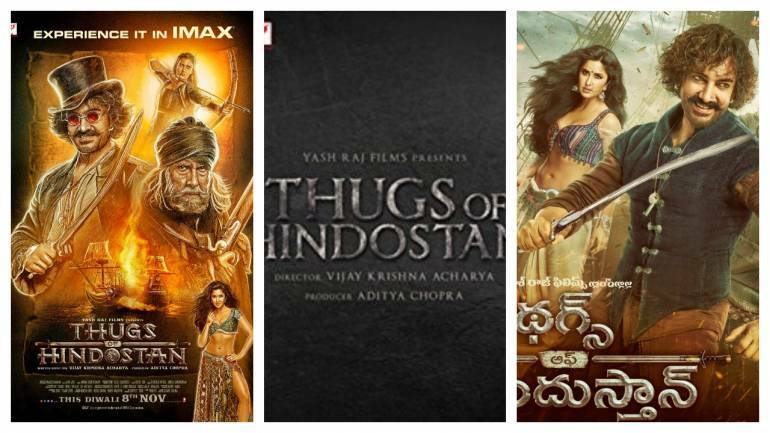 Makers of Thugs of Hindostan, Yash Raj Films (YRF), joined hands with Google Maps in India to promote the film. So, every time people refer Google Maps to get directions they will be accompanied by the characters of Thugs of Hindostan. An unheard, first of its kind marketing tactic that will help the movie gain massive steam before its release. Despite keeping its marketing budget at the lower end, an estimated Rs 10 crore for promotion, YRF is leaving no stone unturned to maximize word-of-mouth potential of the film. However, Thugs of Hindostan is not the only film to adopt newer ways to promote a film. In fact, Bollywood has moved away from plain advertising and is indulging in creative and immersive film marketing techniques. From games and chatbots to web series, digital marketers are thinking out of the box to promote a film. A recent example of this is the marketing strategy of Baaghi 2 starring Tiger Shroff and Disha Patani that introduced a chatbot at the end of the film’s promo allowing people to strike a conversation with the film online. The 2015 release Bajirao Mastani’s content strategy involved launching an animated web series called the ‘Blazing Bajirao’. It was released three months prior to the release of the film. Gamification too has been the area of interest for digital marketers to have a swifter, wider reach. Apart from Baaghi, films like Sultan, Ra.One, Kahaani, Munna Michael, Krish, Ghajini, Brothers, Dhoom 3 have used games to engage with the viewers. Other games include, a video game released for the film Brothers starring Akshay Kumar and Sidharth Malhotra called ‘Clash of Fighters’, had 3D animated life-like characters that looked similar to the actors in the film. Shah Rukh Khan’s Ra.One had a game sharing the film’s title which was released as a prequel to the movie. Aamir Khan’s Ghajini was the first Bollywood film to be made into a 3D game for PCs. Apart from online platforms and games, actors and makers have come up with unusual yet effective ways to advertise their films. For his film 3 Idiots that earned over Rs 200 crore, Aamir Khan had disappeared for few days leaving behind clues to find the actor. A risky move became an interactive strategy that turned out successful. The Jungle Book, which at one point was Hollywood’s highest grosser in India, had released a special rendition of the famous ‘Jungle jungle baat chali hai’ song to promote the movie. But that’s not all, two specially tailored ‘Mowgli Trails’ itineraries were also curated in association with Taj Safari to promote the film in India. Every studio, filmmaker, and actor strives to draw audiences to the theatres. Content and stars are important factors that impact viewers’ attention. However, communication about the film before it releases can be a deciding factor too. Hence, film promotions have become crucial to the extent that sometimes 50 percent of a film’s budget is allocated for marketing.